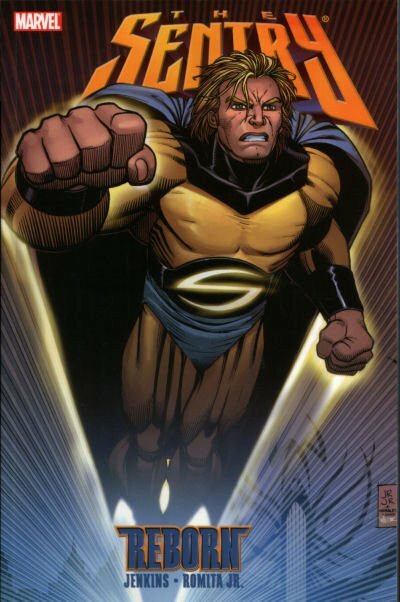 Romitaman Original Comic Book Art :: Private Collection :: Sentry SOLD SOLD SOLD! by artist John Romita Sr. 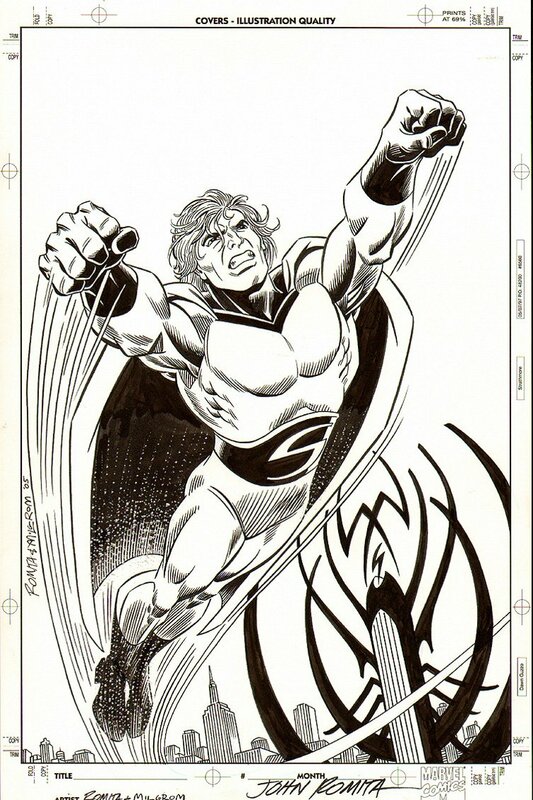 The legendary John Romita Sr penciled and Al Milgrom INKED this VERY neat variant cover here to the Sentry (Rough Cut) #1 Alternate Cover! the published cover was drawn by John Romita Jr! This cover is almost IDENTICAL to the John Romita Jr cover, only this gem of a cover was drawn by the Great John Romita Sr.! Even the building below Sentry with its black extensions are almsot identical! (Click on the red link above to see how closely these 2 covers compare to one another!) CLEARLY John Romita Sr wanted a powerful "FLYING SUPERMAN" type look to his SENTRY cover, and he sure did NAIL IT with this AMAZING cover! The art is in Excellent condition and is signed by both John Romita Sr and Al Milgrom!